Alessandro is the owner of a riding school and he dedicated to horses for over 20 years. 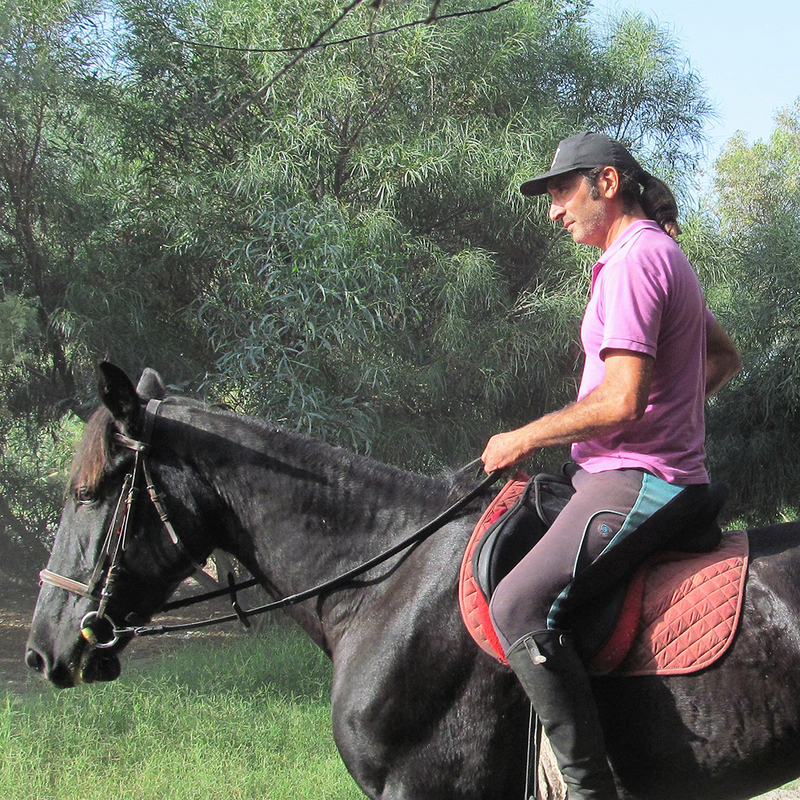 He is a qualified SEF – Italia instructor, equestrian guide and he explores the routes and organises the trails. Furthermore he trains horses for excursions and trekkings as well other breeds for his riding school. 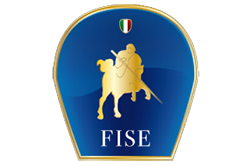 Manuela is qualified FISE instructor 1st level (Federazione Italiana Sport Equestre 1° livello), Italian horse federation, morover she is a qualified SEF – Italia (Italian horse federation) approved instructor for horse jumping and she has a license as equestrian guide. Except her experience in jumping and long trekking, throughout her life, Manuela has trained , owned and competed horses in show jumping, eventing and dressage. She is also qualified for specialised dressage learned by the High School training in Spain. 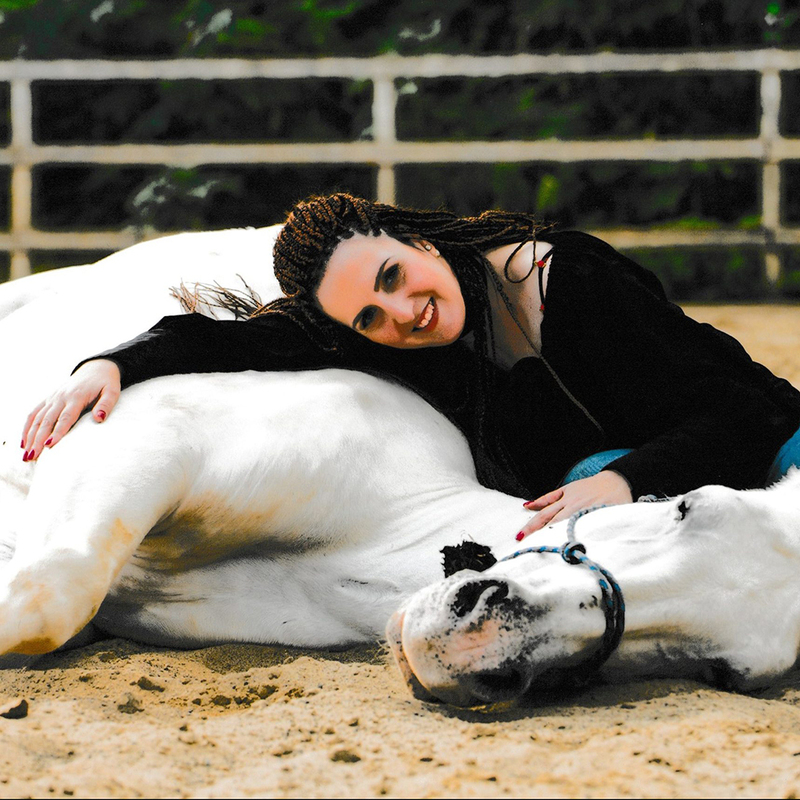 Manuela has a love and dedication to horses for over 30 years. Responsible for the communication between the different providers in Sicily and the T.O. all over the world. As a travel consultant it is important for her to have a high level of knowledge and understanding of the organisation and the demanding criteria of her international clients. Monica joined Sicily Horse Riding in December 2015, after she made different trails all over the island for e few years. Born and grew up in Germany, she lives in Sicily working in the tourism business for over 15 years.